Thanks so much Alison and I'd gladly return the favour later in the year! First of all I'd like to say hi to all of Lauren's wonderful new readers! Some may remember that Lauren and I teamed up to write 20 Busy Bags for Busy Little People over a year ago now. 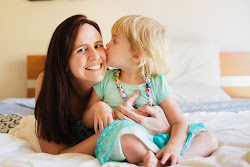 I am excited to be back on Teacher Types for another guest post opportunity and am going to be sharing the wonderful world of sensory tables with you all! 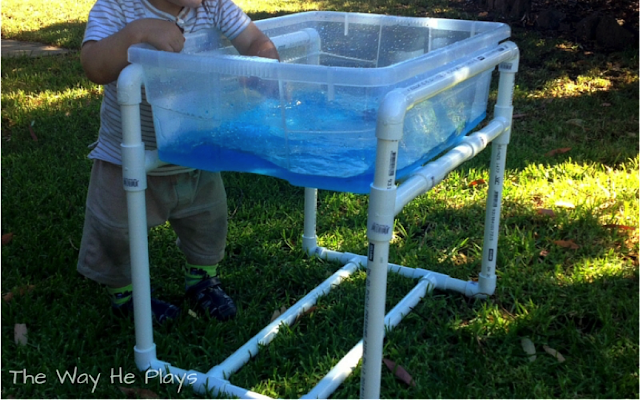 At the beginning of the year we made our very own sensory table out of pvc pipes and a plastic storage container. It was quite simple to make and has been one of the best things we have done. It is used almost daily by our 2 year old who loves to play with it along with all our little visitors too. If you would like to make your own you can see our instructions here. 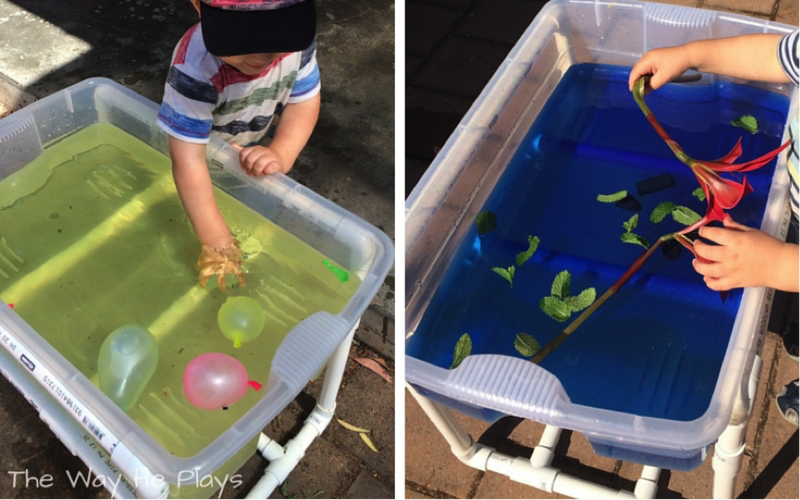 After filling the container so many times I have found that there are 3 main things we use it for; water play, sensory play and small world play. Today I am going to share with you some of the ways we have used it in each of these categories. Most of the time we use the box on the stand, but sometimes we put the box on the floor too depending on what we are playing with. Small world play is an exciting new adventure at our house. Master R has just turned 2 and is beginning to enjoy imaginary play. So far we have created two small worlds which have been thoroughly enjoyed. For our insect small world we used small plastic insects, leaves and sticks from our garden and a small container with water as a pond. Master R's favourite thing to do with the insects was to play hide and seek with them under the leaves. 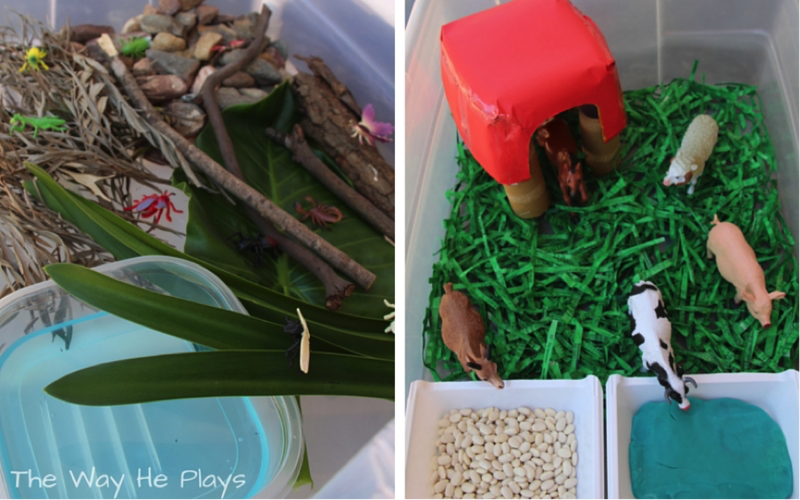 The farm small world that we created used medium sized plastic farm animals, green painted newspaper cut up for the grass, blue playdough for drinking water, dried beans for food and a barn made using an ice cream container, cardboard rolls and red paper. We played with this small world inside which is why I choose easy to clean up materials. Having the animals 'drink the water' and get playdough on their noses proved hilarious for Master R! I also love Lauren's 'We're Going on a Bear Hunt' small world to follow along with the book. I look forward to creating it one day and love the way she brings the book to life in such a simple way! If you don't yet have an area or table for these types of play at your house I suggest you make one fast! 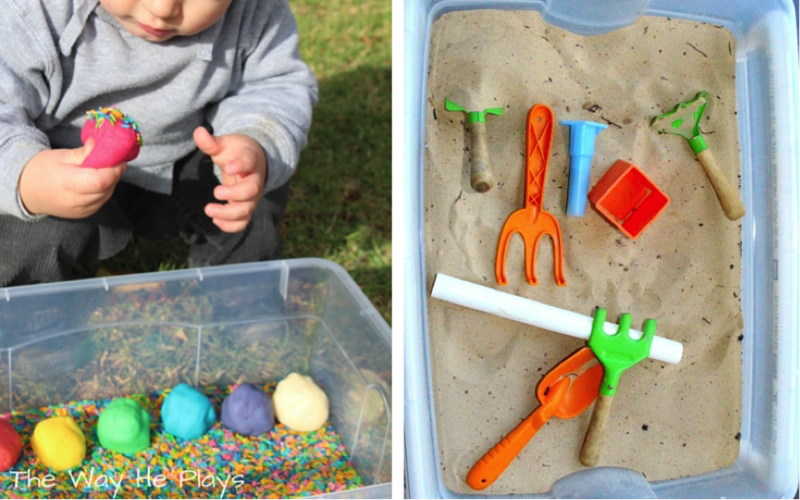 These ideas take very little time to prepare and they entertain kids for ages. Each of them lasted a good couple of days before they were changed for something new and going back and repeating old ideas works well too. My daughter would love the small world, what a great idea! Absolutely Christine! I have to nag hubby to make one of these for Miss M!